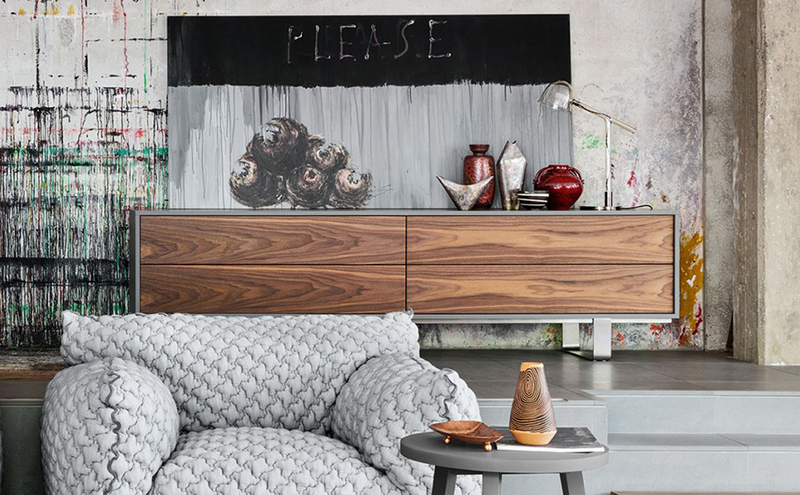 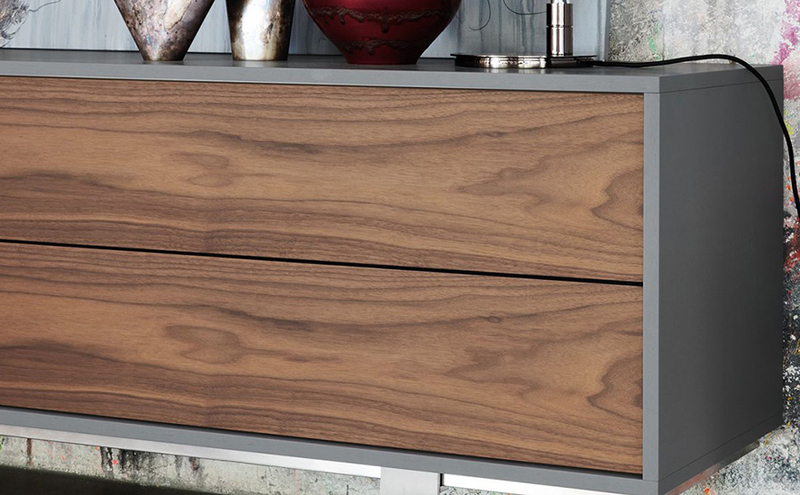 Chest of drawers in walnut, four drawers, brushed steel or white lacquered metal feet. 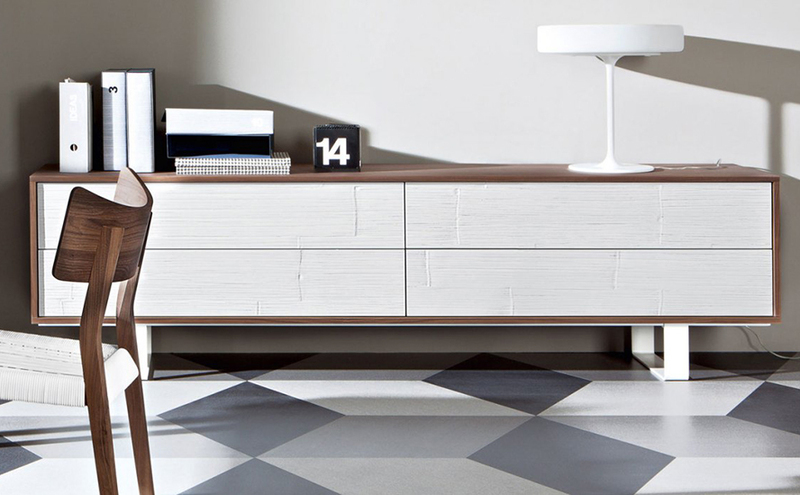 Available frame finishes: natural, mat white, grey, air force blue, black lacquered American walnut. 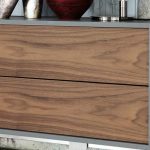 Available front finishes: white, grey, air force blue, black bamboo lamination; natural, white, grey, air force blue, black lacquered American walnut.